4 patches are finished, all 880 of them and maybe a few extra. 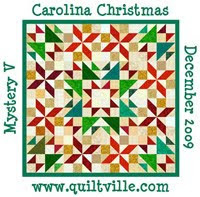 The next step is to make the se the centers of square in a square blocks that finish 2 inches. Here is one I did to see what they would look like. That is a quarter by it. Small!!! Omigosh. After that I have to make 880 half square triangles and the take all these parts and make Shoo Fly blocks for the alternate block. Months and months to go, haha,hehe, hoho. Yes, I am losing it. WOW!!! How small!!! 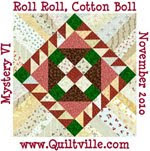 Hmm....I'm not sure I'm going to do this quilt!!! Great job!!!! Incredible. No way in the world I'd do it, but it's bound to be beautiful. I'll just watch you make your and admire! oh yes but they're so adorably wonderfuly amazingly fabulously scrappliscious!!! it's well worth it if you asked me!!! 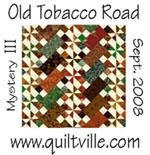 ?This is a fabulous quilt, I had to go back and look at your old posts about it. I love the container of all those 4-patches. Congratulations on finishing.